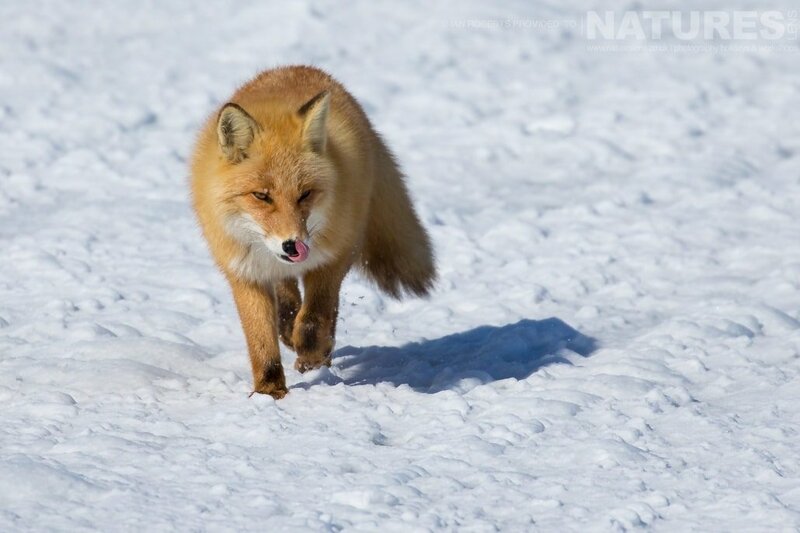 I was excited when I was asked to co-guide the NaturesLens Winter Wildlife of Japan photography holiday. Japan is a country I’ve often thought of visiting, intrigued by the culture &, of course, the wildlife. How big a culture shock would it be? The holiday is primarily based on the Northern-most island, Hokkaido, which is very rural & nothing like the famous image of Japan as a land of teeming masses & neon signs. There are gently rolling hills, extensive flatlands, & mountains, all snow-covered in February. The people are incredibly friendly & the accommodation clean & welcoming. Of course, there are cultural differences. You need to be a bit adventurous with the food; full of taste & always immaculately presented. A science degree & operator’s manual is required to ‘fully appreciate’ the WC! 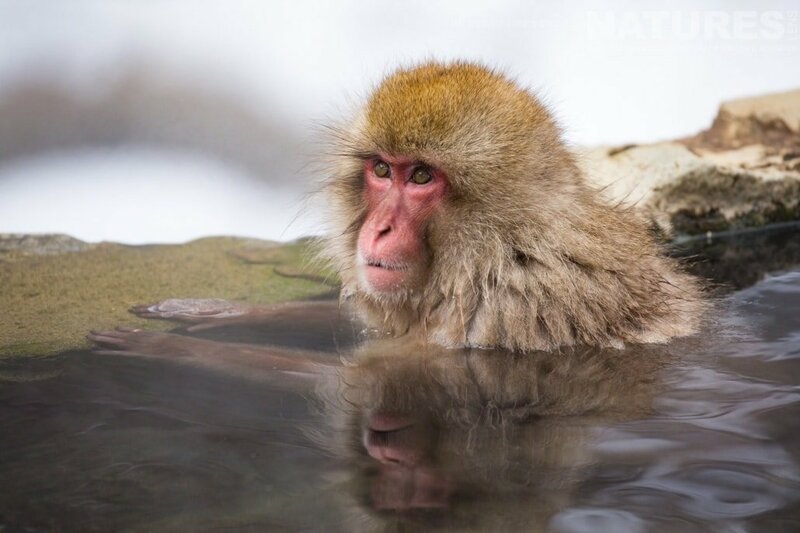 Not to forget the onsen – hot bath – one of life’s sublime pleasures after a day out in the cold. 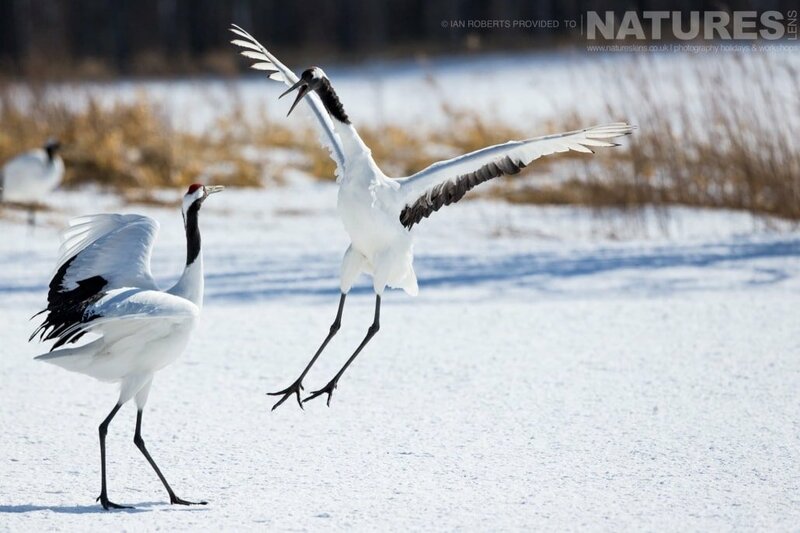 The first port of call for two nights was the Tsurui area, with the focus on the Red-Crowned Cranes. An early start was needed to bag a good place on the Otowa Bridge to glimpse the birds at roost in the river & flying off for the day searching for food in the surrounding fields. 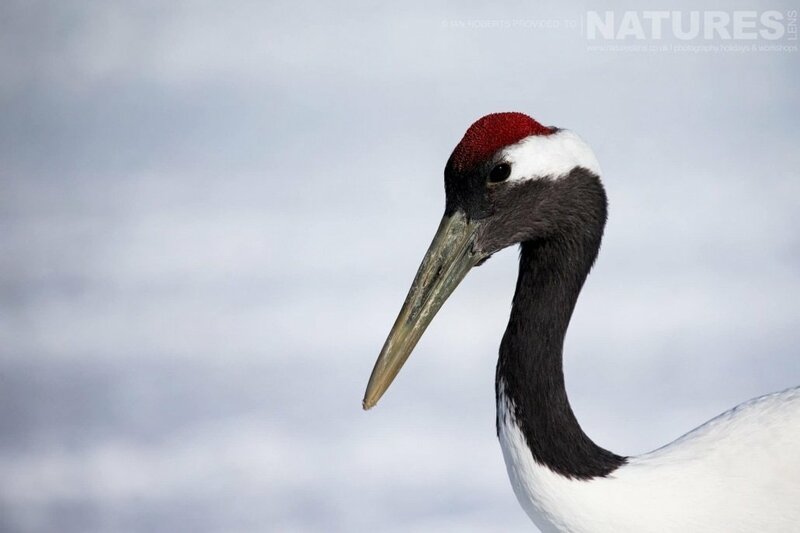 The local farmers see the cranes as a considerable asset & manage their land to ensure the cranes’ survival. 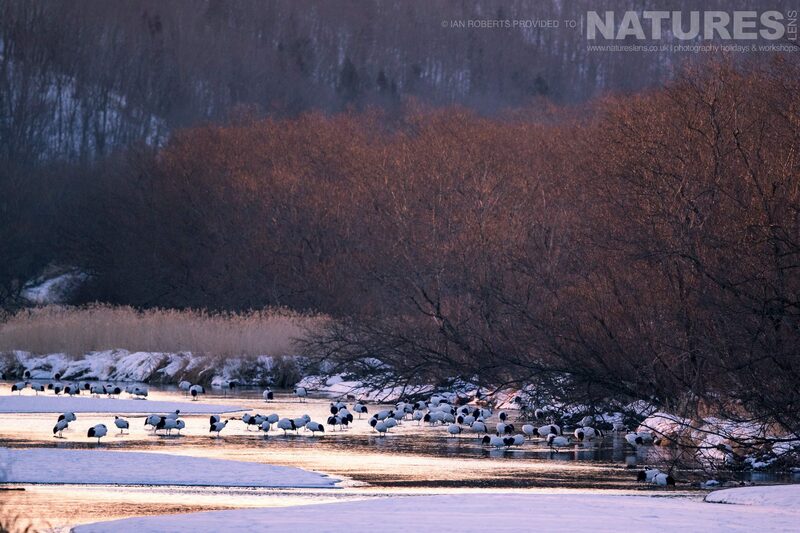 After a late & hearty breakfast, we visited the Ito Tancho Crane Sanctuary where there were hundreds of the birds. We were able to capture them close up & displaying typical societal behaviour, including the ‘dancing’, an attempt to establish status in the crowd. Moving on from Tsurui, we paid a passing visit to the Akan International Crane Centre, which presented further opportunities to capture the cranes in a different environment, & to visit the interpretative centre. A short drive further brought us to our next stop & another cultural assault on the senses. What an excellent hotel; the rooms are a cross between Western & Japanese traditional style, with all mod-cons but the beds lower to the ground. The food was a masterful display of Japanese catering at its best. The hotel lobby has fire pits for warmth & a full height/width window looking out on the adjacent river valley where wildlife abounds. A Blakiston’s Fish Owl visits each evening & other wildlife observed included fox, stoat, Eurasian Jay, Eurasian Nuthatch, Eurasian Blackcap, & Brown-eared Bulbul, all in about half an hour. 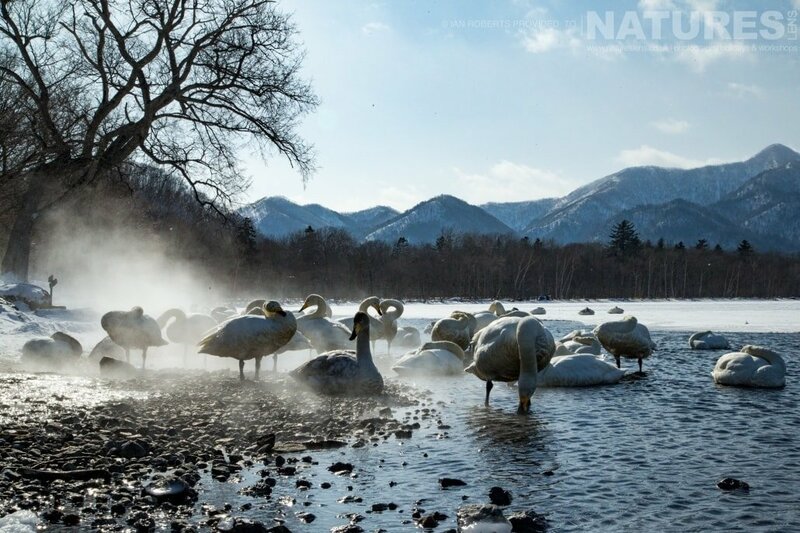 Our photographic destination was Lake Kussharo to seek out the Whooper Swans. They proved a little elusive but we did successfully track them down. We also paid a visit to the scenic Lake Mashu, a caldera lake high in the mountains. 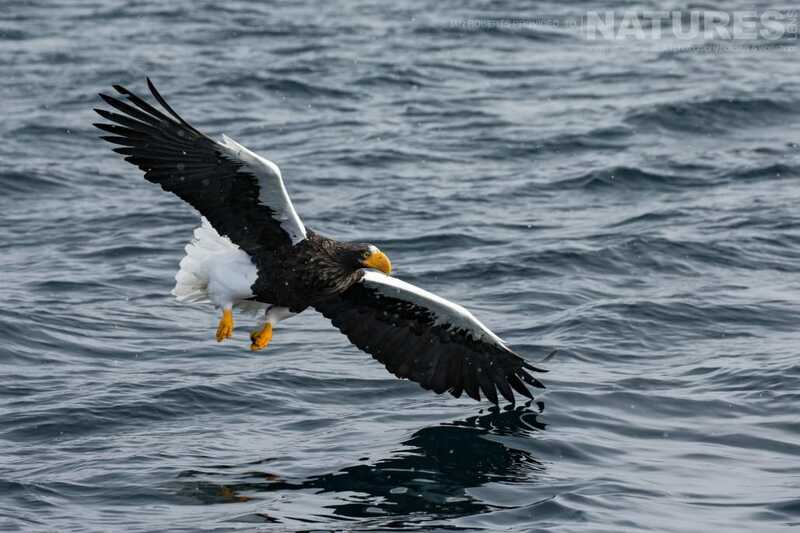 Moving on, we headed for Rausu on the Northwest peninsular of Hokkaido, for what, for many, was the avian highlight of the trip. The sea eagles, both Stellers & White-Tailed. Our base was another Daiichi with a pleasing choice of indoor & outdoor onsen. Early starts were again the order of the day to meet up with our wildlife cruise boat. This was preceded by a rapid trip to the convenience store for breakfast essentials, including (you’d better believe it) cans of hot coffee. Weird but very welcome, given the temperature of -11°C with a windchill down to -23°C! The boat, though, has a warm cabin to retreat to for respite. For the next three days, we were out in local waters for about 5 hours each morning. 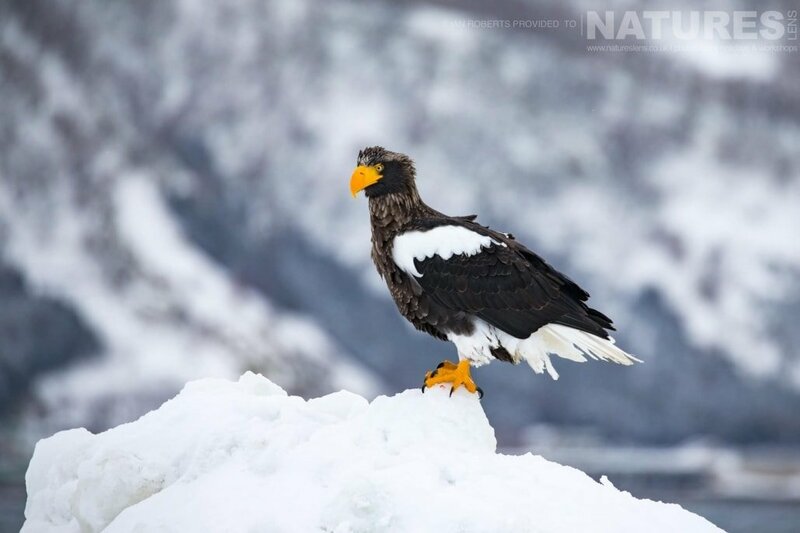 We were treated to fishing displays by the Steller’s Sea Eagle & White-tailed Sea Eagle at sea, at sunrise, on pancake ice in the harbour, & on drift ice further out to sea. The birds were so close to the boat that a medium length lens was sufficient. 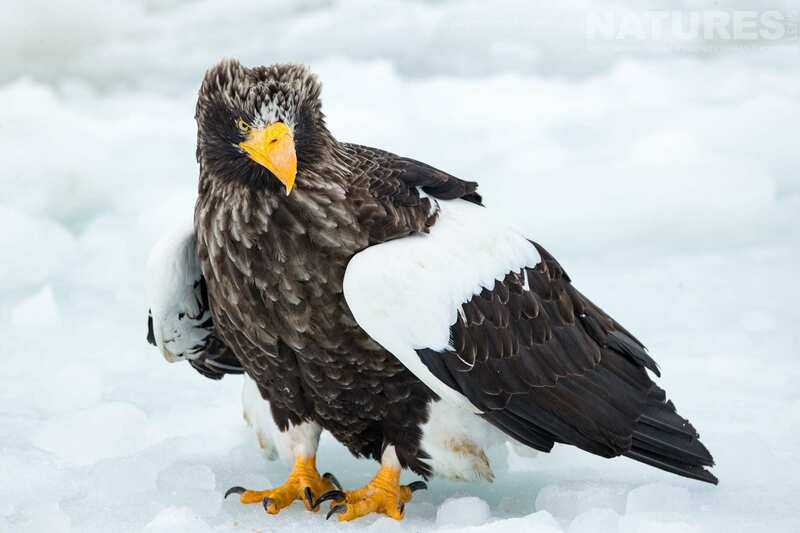 The portrait image of the Steller on the sea ice is uncropped! 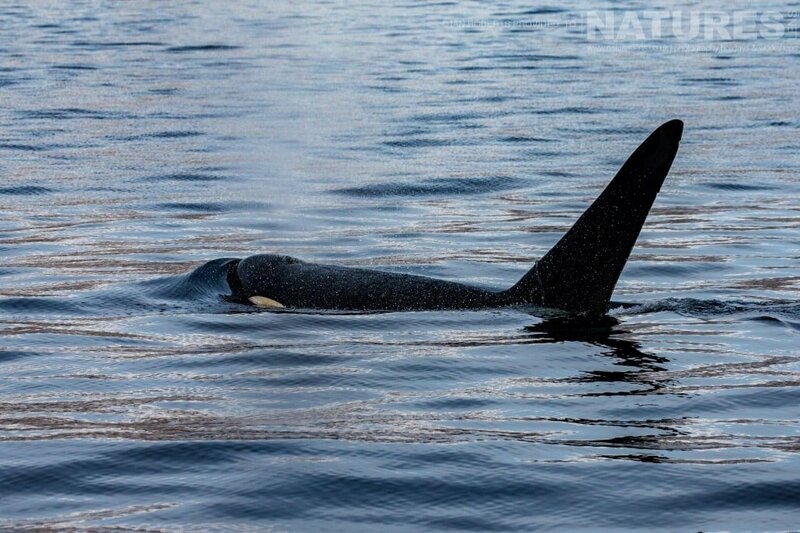 An unexpected bonus was a small pod of orca transiting south in search of food. The boat crew go to great lengths to get their passengers close to the action. 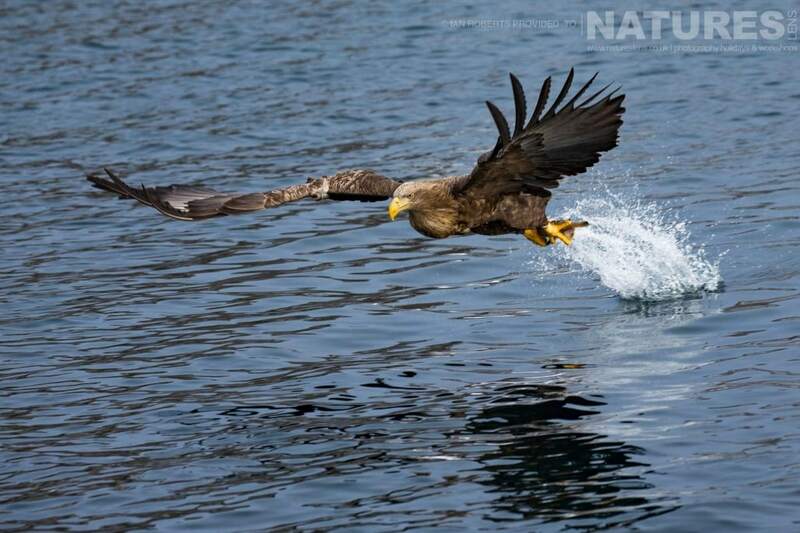 Heading a little further south, we took in an area on the south-east of the island for a day to catch both types of eagle & Black-eared Kites as they scrabbled for the daily feed of frozen fish. 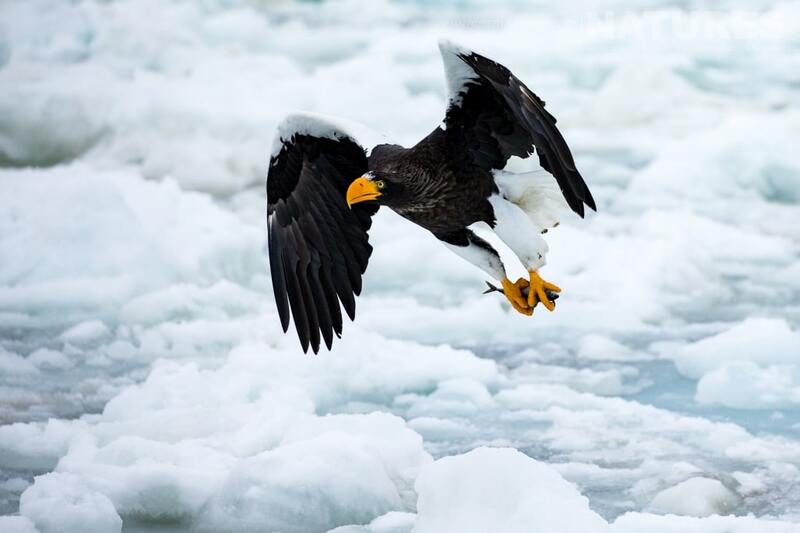 The eagles command the frozen surface & jealously guard the fish. 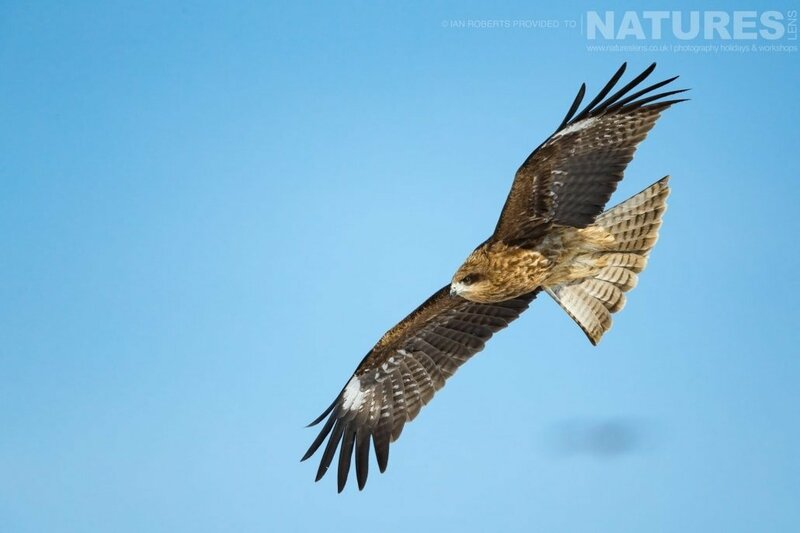 However, the kites are good scavengers & successfully get their share. 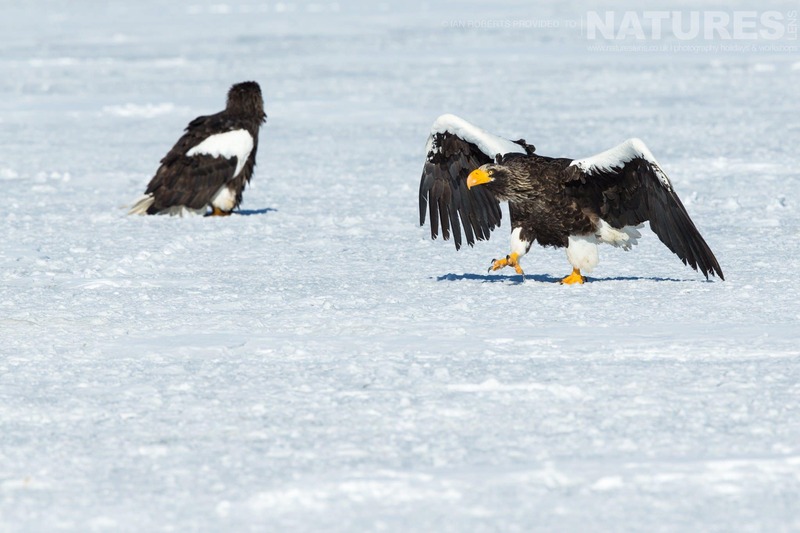 The eagles stomp around the ice looking for food, providing an opportunity for unusual images. We also got lucky with visits from 4 foxes. 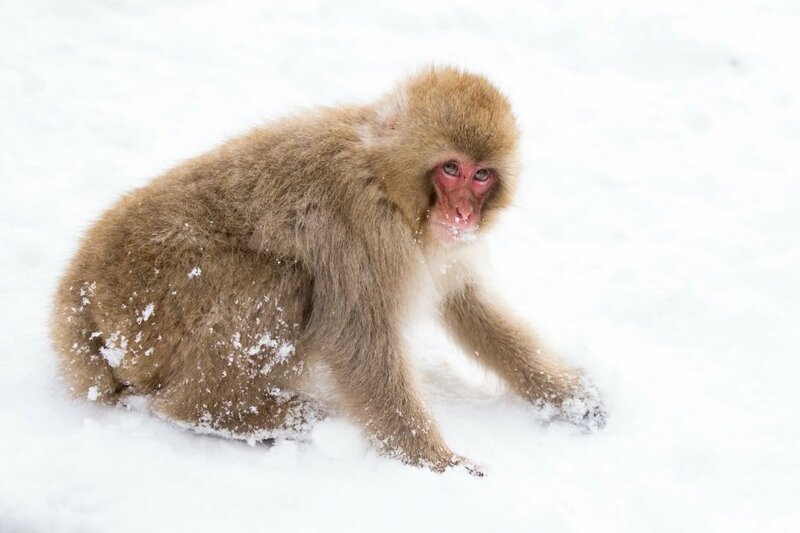 It’s possible to get very close to the monkeys, correctly known as the Japanese Macaque. But like many primates, they will take any opportunity to explore bags, especially if they can sense food! Portraits are the order of the day, with other opportunities to capture family behaviour & experiment with high key imagery. That was it. 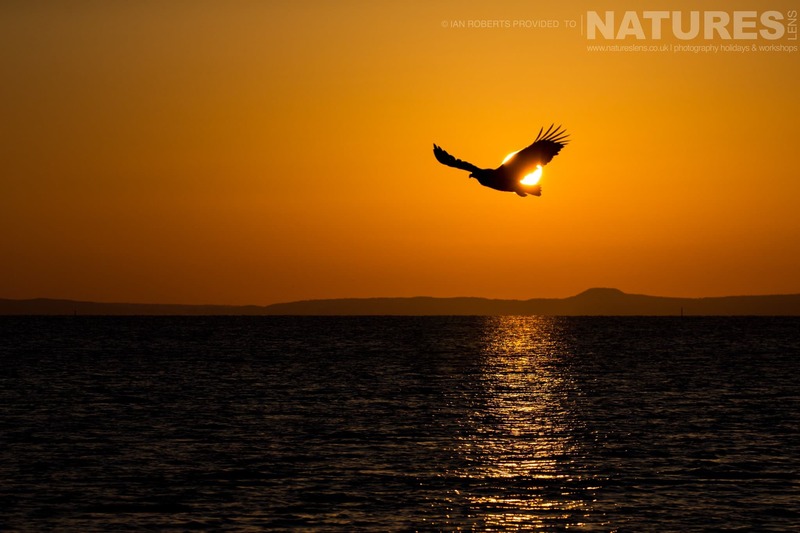 Almost two weeks of excellent wildlife images, a new culture, excellent food & good company. Did I enjoy it? Well, let’s say that I am really looking forward to going back in 2019. 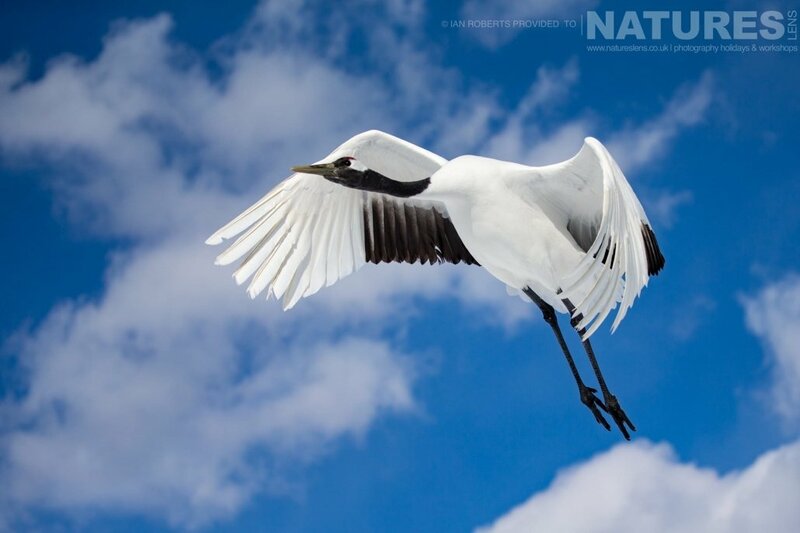 Why not join us & experience for yourself the beauty of Japan’s culture & wildlife? 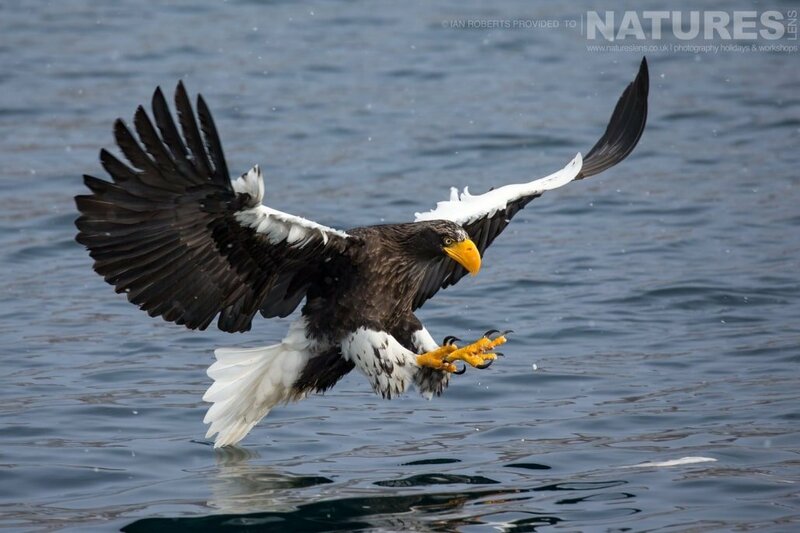 This entry was posted in client images, photography holidays, worldwide tours and tagged eagle, hokkaido, japan, red fox, steller's sea eagle, white tailed sea eagle, winter. Whatever your query regarding our photography holiday, Winter Wildlife of Japanthe Guide’s perspective, please fill out your details below & we will get back to you.